A few days before both debuts, the busy nearly nonagenarian spared a few minutes for an interview with the Times of Israel to discuss, among other things, the influence of Judaism on his work. 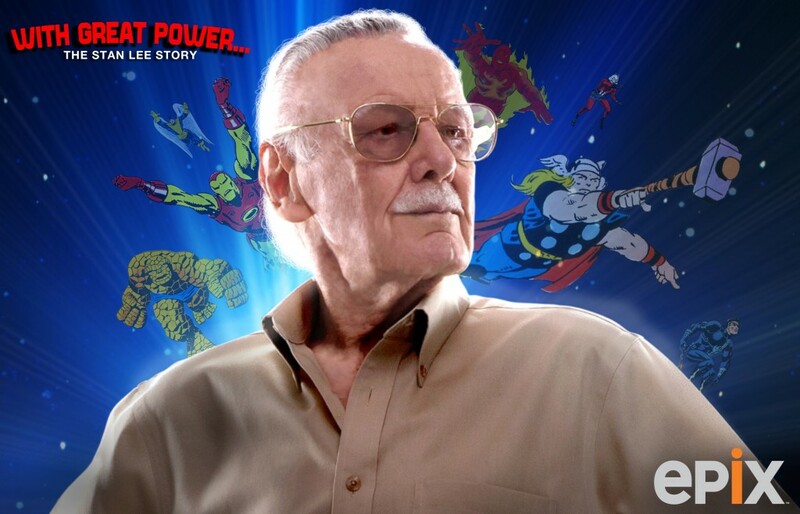 In the documentary, now also available on DVD, you’ll spend 90 minutes with the grandfatherly, New York-born marvel behind pop culture icons like Spider-Man, Iron Man, Thor (well, the comic book version of Thor), the Hulk, the Fantastic Four, the X-Men and others. His decision in the 1960s to shave a bit of the bland formality out of comics was a major stepping stone to today’s widely agreed acceptance that the funnybook medium can be of genuine artistic merit. He grounded his characters in real places (why write about Metropolis when you already knew New York?) and gave them some less-than-super problems (the Fantastic Four have to pay their bills!?). “With Great Power” doesn’t just sketch the highlights of this man’s lengthy career from Timely Comics, then Marvel, then the world of television and feature films. There are some fascinating side stories (“one-shots,” you might say), like his time working as a writer for the US Army during World War II alongside people like William Saroyan, Frank Capra and Theodore “Dr. Seuss” Geisel. There are some touching moments as well, such as the story his wife of over sixty years tells about the prejudice they encountered trying to adopt a child, being a couple of mixed religious background. Stan Lee was born Stanley Martin Lieber, and to hear him tell it he took the pen name not so much to assimilate, but because he was “saving it” for when he wrote something more distinguished than comics. Of course, that was over seventy years ago. The documentary goes into some depth about his childhood, growing up poor during the Depression in the Morningside Heights neighborhood in Manhattan and later the Bronx. With success came a move to Los Angeles and tours to college campuses throughout the United States, Europe and Japan. 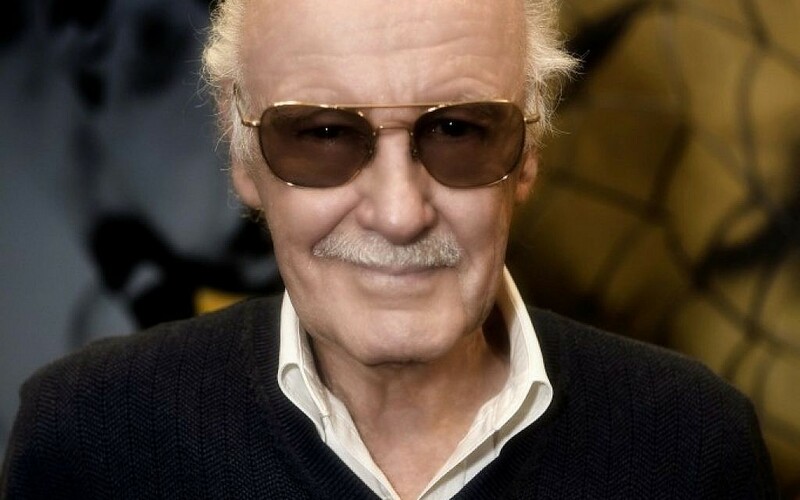 I had the good fortune to speak with Stan Lee over the phone, and while he did not speak in his famous alliterative style (by the hoary hosts of Hoggoth, I was, indeed, disappointed) he was very much a man filled with verve and laughter, cracking himself up with nearly every response. The comics industry has long had a disproportionate number of Jews (see Rabbi Simcha Weinstein’s fabulous book “Up Up and Oy Vey: How Jewish Culture and Values Shaped the Comic Book Superhero”) so it seemed only fair I ask Stan a bit about his Jewish experience. I know you’ve traveled all over the world, have you ever been to Israel? I have never been to Israel, no, one of my lasting regrets. Something you think you might get to do? Oh, it’s just too far away for me now, for a trip like that. Well, maybe if you are in Europe, you can’t jump over? It’s not that far? If I’m ever in Europe I might try to do that. Yes, you’re right. I was wondering if we could talk a bit about your Jewish background. There are a number of people in comics, a tremendous percentage, who are Jewish. From [Superman creators] Joe Shuster and Jerry Siegel to yourself to others today. You’re right. But I don’t know why. I think it’s just like… Italians are such great singers or Irish people maybe like to be in a bar drinking, I don’t know! But, yes, there are a lot of Jewish artists and writers and people in the entertainment business. There must be a reason, there must be something to do with the culture. The fact that there aren’t that many Jewish steel workers, I can’t say why it started. When you were writing your comics, especially when you were around so many Jewish colleagues, did you ever throw in any “in-jokes” or references? No. I never did. I always tried to write stuff that would be for everybody. I never wanted to proselytize. But the funny thing is we also had a lot of Italians, too. We had Frank Giacoia, Frank Carino and Joe Letterese and John Romita. And Vinny Colletta. Now that you mention it, it was mostly Jewish people and Italian people. And a few Irish guys, too, John Severin and his sister Marie Severin. It was all of ethnic New York, but definitely a lot of Jewish people. Ben Grimm, of course, the Golem-like character The Thing, from the Fantastic Four, is Jewish. Yes. They made him Jewish after I was writing the series. I never thought of his religion, but that was great when they made him Jewish. He even has a bar mitzva, in a way. One thing I did do, however, years ago  I did a book called “Sgt. Fury and his Howling Commandos.” Sgt. Fury later became Col. Fury, the head of S.H.I.E.L.D., but early on, when he was just a Sargent I gave him his first platoon – and it was the first fully ethnic platoon in comics. He had a Jewish soldier named Izzy Cohen. He had a black soldier named Gabriel Jones. He had an Italian, and Englishman, an American Indian – everything I could think of! A full international platoon of all religions and people said, “oh, you can’t do that, Stan, the book won’t sell down south, or up north, or here or there.” And it was one of the best selling books, which shows there’s something good about the public. 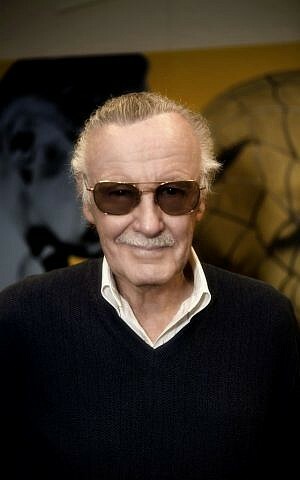 After its initial run on Epix, “With Great Power: The Stan Lee Story” will be released on DVD.